«Comets give us good clues that the planet formation era was violent and the early solar system very different from today,» said Willy Benz, director of PlanetS, at a conference in Madrid. 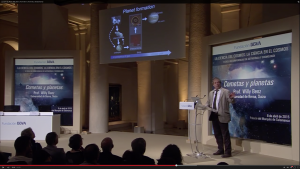 «Comets were born during the formation of the solar system in the first 10 to 100 million years», explained Willy Benz in his opening talk of a lecture series organised in April 2015 by the Spanish foundation BBVA and addressed to a wide audience. «These objects are stored in the freezer for 4,5 billion years far away from the Sun.» By chance some of them penetrate into the inner regions of the solar system. Their primeval condition makes them especially interesting for science. «You can look at this like a detective story,» said Willy Benz. «You collect data, you have evidence and then you try to reconstruct what has happened a long time ago.» The scientists’ evidence are measurements of the comets’ orbit, shape, composition and material properties as well as the number statistics and the family membership. 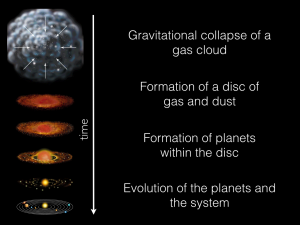 These data allow drawing conclusions about the formation of the planets in the early solar system. What makes the cosmic detective work more difficult than solving a crime is the time scale. «It takes 4,5 billion years of history to trace back and you have only very few clues to do this,» explained Willy Benz, director of PlanetS and the Physics Institute of the University of Bern. A computer simulation, the «Nice model» named after the French city where it was first presented, demonstrates a possible scenario in the early solar system. It starts with the giant planets Jupiter, Saturn, Neptune, Uranus and a lot of small objects further out, that orbit the Sun. 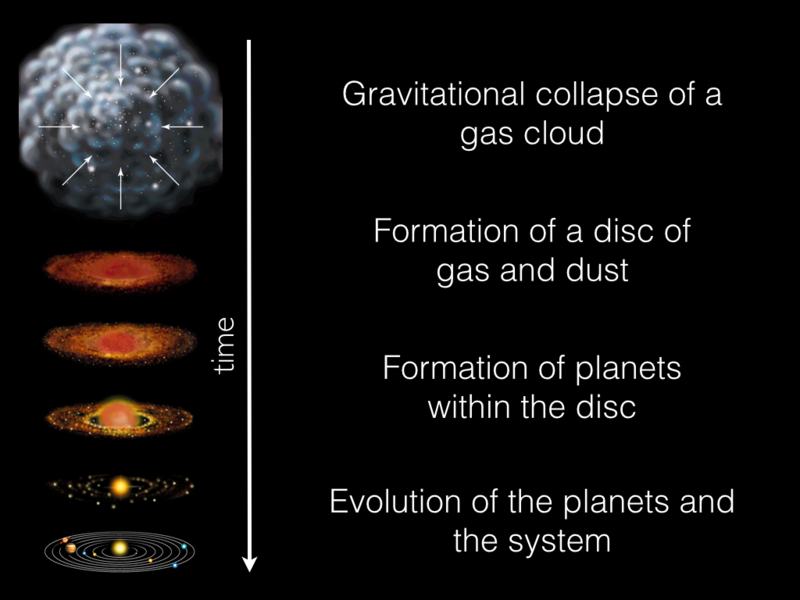 Simulating the first few hundred million years nothing spectacular happens. «But when you get to 880 million years the thing explodes because Jupiter and Saturn have crossed their 2:1 resonance,» explained Willy Benz. During this dramatic event most of the little objects are thrown out at large distances or are lost from the solar system, or even collided with planets and moons. This computer simulation shows that the solar system was very different in the early days. 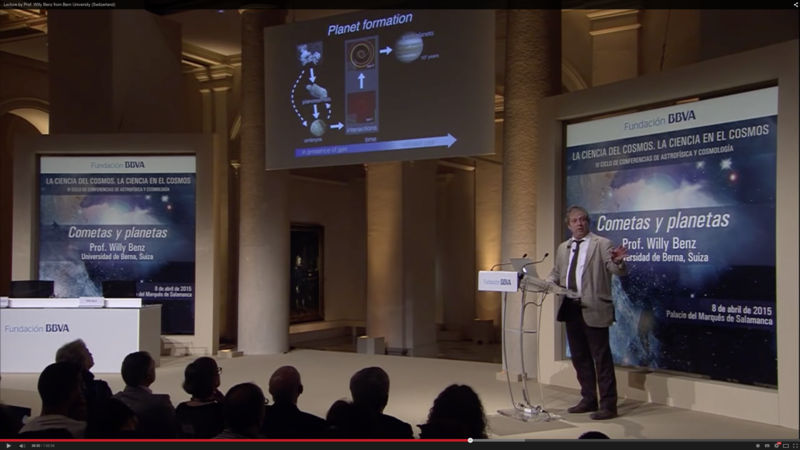 «It doesn’t work with the solar system we have now,» said Willy Benz. «We have to start with something different; that is part of this detective story.» Another possible piece of the reconstruction is the so-called Grand Tack model. It shows what could have happened even earlier on. In this scenario, Jupiter migrated inwards and came nearly as close to the Earth as Mars is today! «But that was before the Earth existed,» the expert explained, «so lucky for us.» The simulation demonstrates how at some point Jupiter followed by Saturn migrates back out and the situation remains unchanged until the instability showed by the Nice model kicks in 800 million years later.